On January 28th 1995 Oasis played their first gig of the year at the DV8 in Seattle, USA. On January 28th 1998 Noel Gallagher played a short set at the played at the King's Head Pub in California, USA. Listen to 'Live Forever' and 'Slide Away' below. 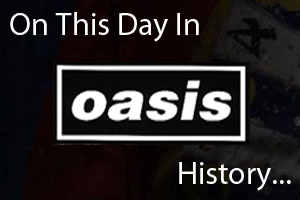 On January 28th 2009 Oasis played at the Globe in Stockholm, Sweden.